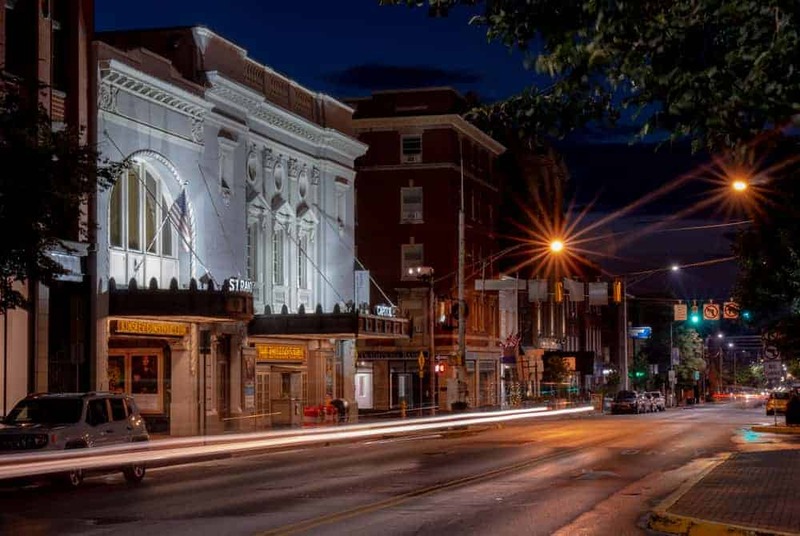 This article is brought to you by Downtown Inc.
York County, Pennsylvania, is known as the Factory Tour Capital of the World, and visitors can tour everything from a Harley-Davidson factory to several snack food factories and even a violin workshop. 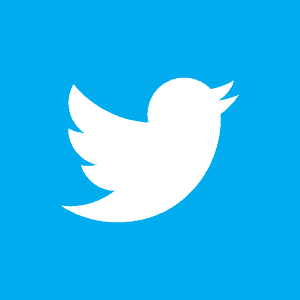 However, for those that dig a little deeper, there’s a lot to explore. One of the biggest surprises for me in the area was how much there is to do in Downtown York. 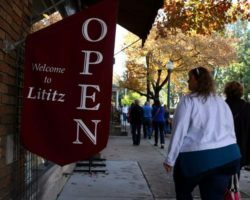 While it’s often overlooked, the city offers fascinating history, great shopping, delicious restaurants, and half-a-dozen tasty breweries. 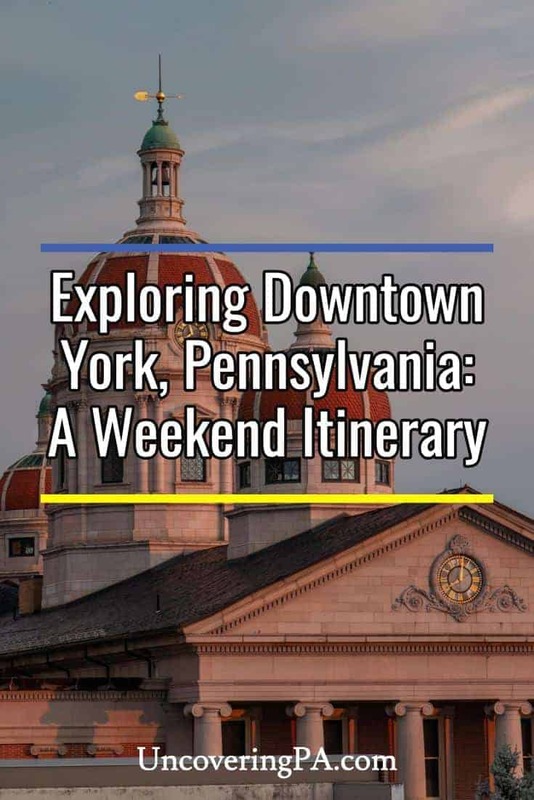 To assist you in exploring this overlooked city, I’ve put together a two-day itinerary that’s perfect for those looking to explore the best things to do in Downtown York. Start your visit off at the Agricultural and Industrial Museum in Downtown York. As the name implies, the museum covers the working history of the region. The museum’s two floors feature nearly two dozen different displays on York County’s agricultural, industrial, and transportation history. Visitors can step inside a historic trolley, check out a working grist mill, and take a turn milking a pretend cow. 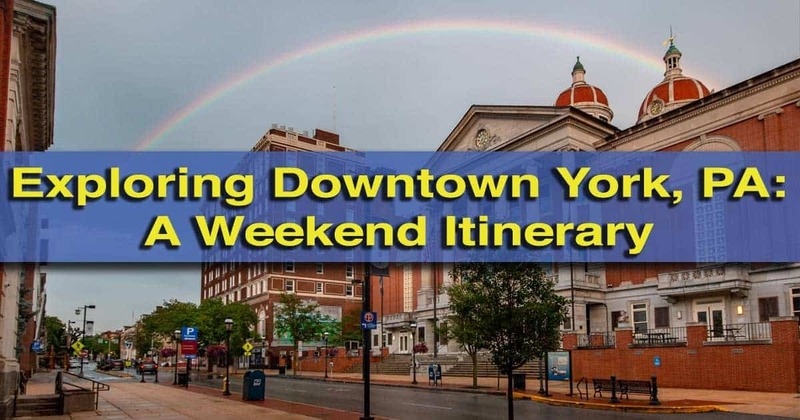 The ticket to the Agricultural and Industrial Museum is also good for access to the Historical Complex Tour and the York Historical Center which you’ll do later in the day. Central Market is a great spot to grab a bite to eat and do some shopping. 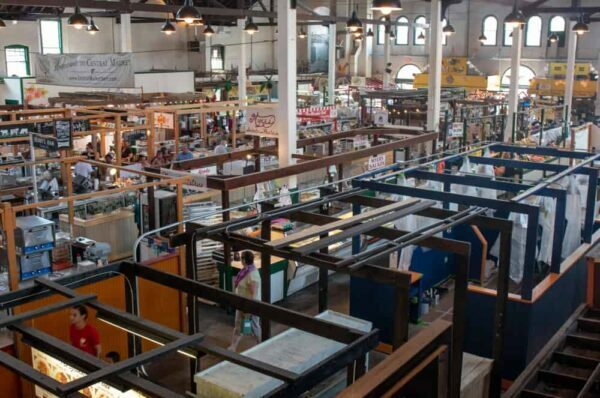 York’s Central Market dates back 125 years and is filled with fantastic places to eat, grab a cup of coffee, or browse the crops and wares available for sale. The variety of food available in the market make it a perfect spot for lunch as the whole family can try something different. Food options include barbecue, fried chicken, and pretzels to more exotic fare like Korean, Mexican, and Greek. During my visit, I had a chance to eat at the delicious Busy Bee, which offers delicious sandwiches made with local ingredients and unique twists. Don’t miss getting a tasty handmade soda with your lunch at the Fizzy Bee next door. The recreated York County Courthouse in downtown York. After lunch, head over to the York Colonial Complex for a tour. This guided tour offers a fascinating look into York’s nine-month stint as the capital of the United States. In fact, some consider York to be the country’s first capital. Tours start with a look inside the Golden Plough Tavern. One of the first buildings built in the city, the tavern offers a glimpse into what life was like in mid-18th century York. 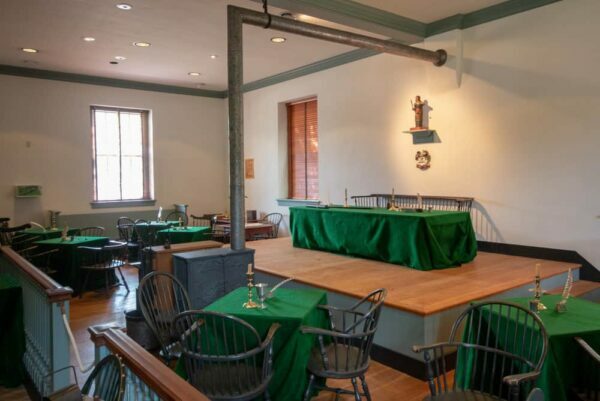 Inside the recreated historic York County Courthouse. Adjacent to the tavern is the General Horatio Gates House. Gates was one of the top commanders of the Continental Army and spent the winter of 1777-1778 in York. Visitors can tour the home that he lived in while in the area and learn more about his story. It is said that in this home, the Marquis de Lafayette saved George Washington’s role as the commander of the Continental Army during a party. The tour also takes visitors into the recreated York County Courthouse that served as the meeting place for the Continental Congress from September 1777 to June 1778. 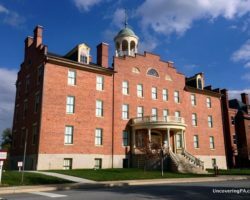 While the original courthouse, which sat in the middle of the town square, was torn down in the 1860s, it has been recreated for visitors to see and learn about the important events that happened in York. 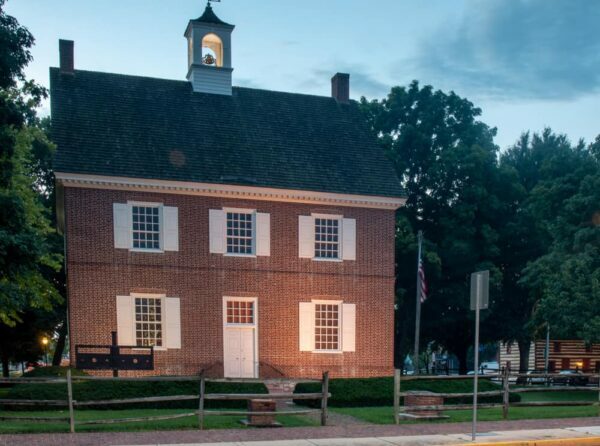 The York History Center is a great place to learn more about the area’s history. Next finish your historic tour of York with a visit to the Historical Society Museum. Operated by the York County History Center, the museum highlights the history of the city and county. This is a great place to explore as it will give you a great appreciation for the region’s history. 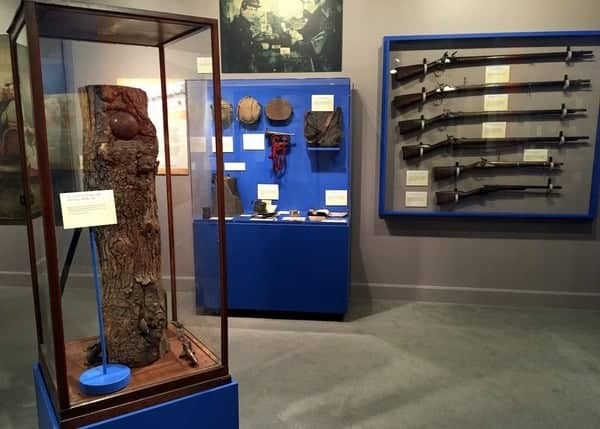 The museum’s two floors of exhibits cover the industries that thrived in York County, its Civil War history, and aspects of life in the region. Also of interest is the recreated storefronts inside the museum. This is neat to see and contrast how things used to look like with what the streets of the city look like today. Tutoni’s features delicious homemade pasta. 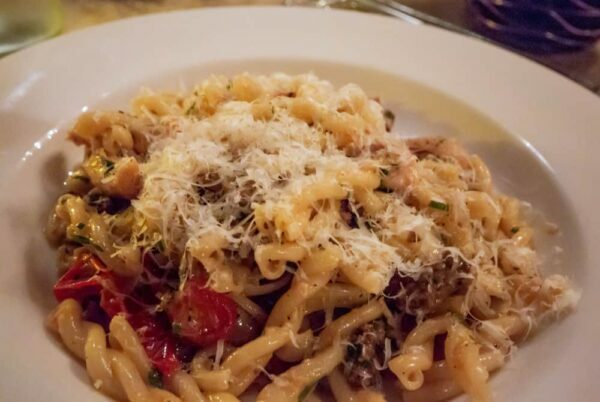 If you love Italian food, you won’t want to miss Tutoni’s. Tutoni’s prides themselves on making scratch Italian food, and they even make their own noodles and utilize many local farms in the creation of their delicious Italian dishes. In addition to great pasta, Tutoni’s also features amazing cocktails inspired by Italian tastes. While not inexpensive, these cocktails are quite delicious and unique. As for their deserts, Tutoni’s offers miniature desserts that are homemade daily and insanely delicious. While it’s the perfect size for an end-of-meal treat, you’ll definitely wish it was larger. Downtown York features several great options for after-dinner entertainment. If you are looking for a little entertainment after dinner, there are some great options in Downtown York. During the summer months, head over to PeoplesBank Park, which is home to the York Revolution. A professional baseball team in the independent Atlantic League, the Revolution’s season lasts from late April through early September. Another option is to catch a show at the Appell Center for the Performing Arts. 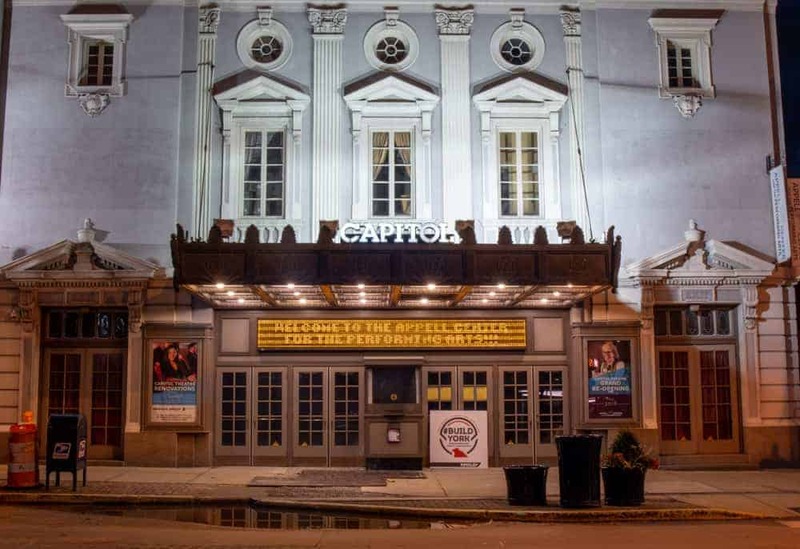 This state-of-the-art venue hosts concerts, plays, and other performances from well-known artists and national touring acts. 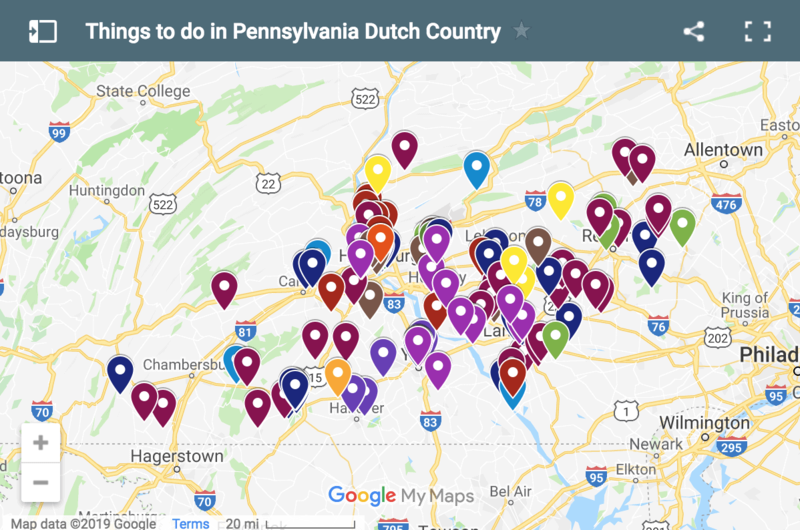 Lastly, there are several great breweries in York, PA. 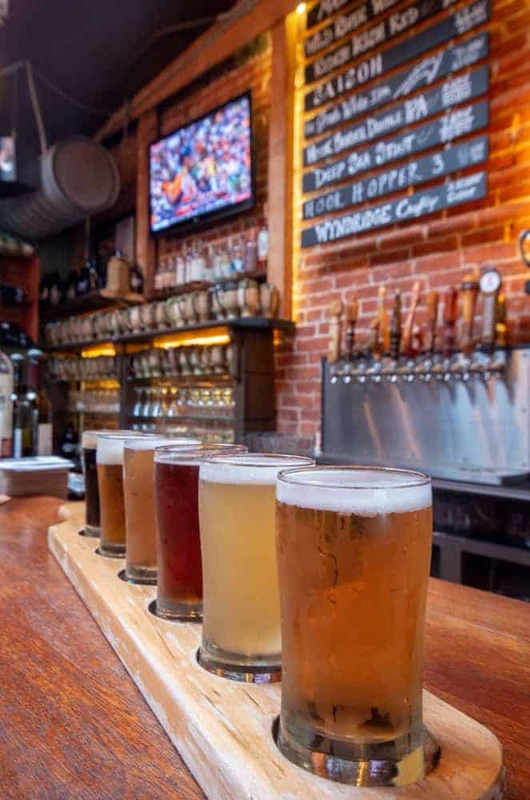 While a few are on the itinerary for day two, other options worth checking out are Liquid Hero Brewery, Gift Horse Brewing, and Crystal Ball Brewing. Currently, Downtown York’s historic hotel, The Yorktowne Hotel, is closed for renovations. While that limits lodging options in Downtown York, one highly-recommended choice is Grace Manor Bed and Breakfast. While I haven’t personally had a chance to stay here yet, the reviews are quite complimentary, and the rooms look very inviting. The four rooms at the B&B are themed after a different culture and offer a unique lodging option within walking distance of the places listed in this itinerary. Start your day off with a bike ride or walk along the York County Heritage Rail Trail. This 21-mile trail runs from downtown York to the Maryland border. Along the way, it passes through some of the area’s most beautiful spots. If you have a bike, this is a great way to explore the city and a bit of the countryside. However, even if you don’t, the trail is perfect for a morning walk along the Codorus Creek. After a little morning exercise, pop into Green Bean Roasting Company on South Beaver Street. Green Bean Roasting Company offers freshly roasted coffees in a great setting in the heart of downtown. If you don’t like coffee, they also offer a selection of teas, espresso drinks, and other specialities. Mudhook Brewing Company features delicious food and beer. For lunch, head over to Mudhook Brewing Company. Even if you aren’t in the mood for an early drink, Mudhook is known for their delicious food and is a great place to grab a bite to eat. 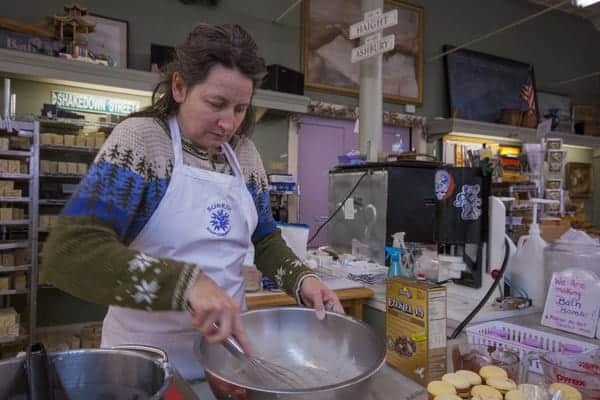 Sunrise Soap offers showcases of how they make soap inside their shop in downtown York. Sunrise Soap Company is a shop along North Beaver Street that produces some of the finest soaps in Pennsylvania. 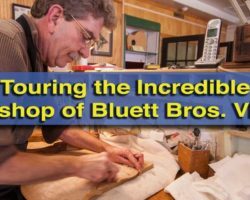 All of their soaps are made in-house, and visitors can even get an impromptu tour of their factory and facilities. Or, if you’re planning ahead, you can even sign up for one of their classes and make your own soap. Either way, take some time to learn how soap is made at Sunrise Soap, and then browse for a few gifts for your family (or for yourself). Next, head over to the York City Pretzel Company to try a delicious homemade soft pretzel. This makes a great afternoon snack or after-lunch desert. Their pretzels are hand twisted and made in small batches with simple ingredients. Don’t forget to get some house-made beer cheese or mustard to go with your pretzel. 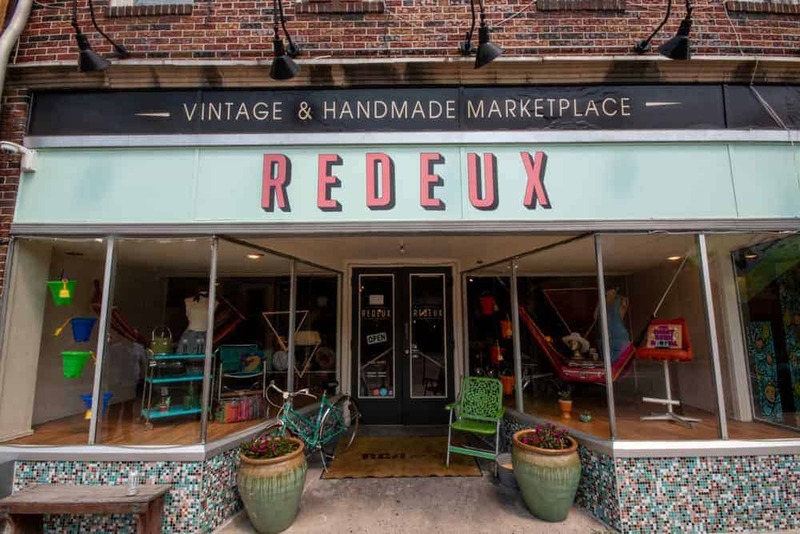 Redeux offers fantastic vintage finds. Redeux is part vintage shop and part art store and located in the heart of York’s artistic Royal Square District. It features an incredible collection of vintage items that are perfect for almost any collection or for your vintage-inspired decor. There are also many pieces of art that have been designed with the same trends in mind and offer a great addition to almost any space. 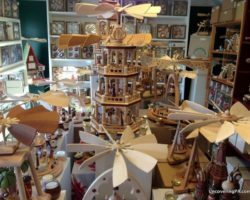 Take a bit of time to browse this great shop, and you’re sure to find something great to take home with you. While The Parliament and many of the other art galleries in the Royal Square District near Redeux are closed on Sundays, they are definitely worth a look if you are completing this itinerary on another day of the week. Collusion Tap Works offers a wide selection of delicious beers. Walk across the Royal Square District for a late afternoon drink at Collusion Tap Works. Opened in September 2016, Collusion Tap Works offers a rotating list of inventive and delicious beers in their tap room. 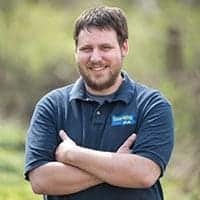 Prior to opening Collusion, their head brewer won awards at the Great American Beer Festival and World Beer Cup for other beers he made, so you know the quality of the beers here are tasty. 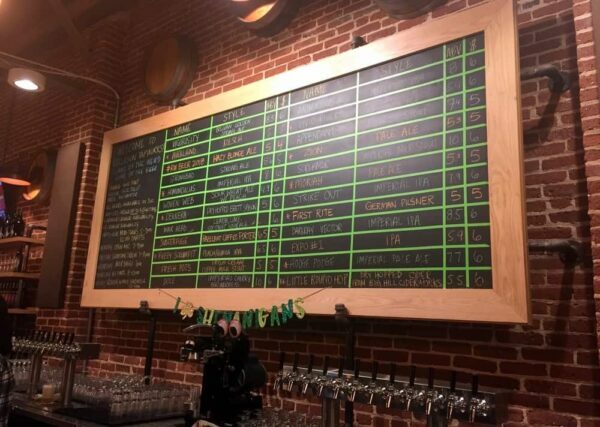 Collusion’s large draft list changes regularly, but features a wide variety of beer styles. Their current line up can be found on their website. Taste Test features new food concepts in downtown York. Taste Test is an audition kitchen that allows aspiring restauranteurs to try out their concepts before launching a full scale restaurant. The space consists of a short term audition space and a full restaurant and bar. While both spaces are on rotation, the audition space turns over much more quickly, and what’s available on one trip likely won’t be there on the next. During a recent visit, I had a chance to sample Paco’s Tacos, which was located in the restaurant and bar. 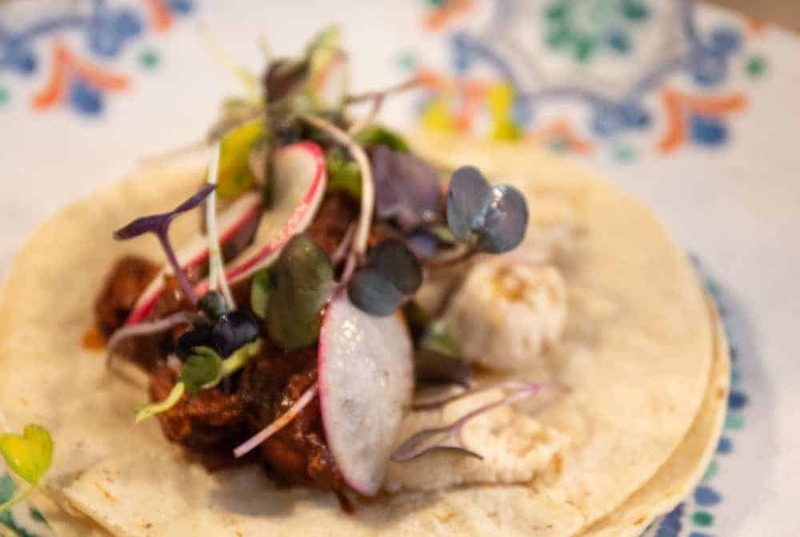 For being a newer concept, I was impressed at the quality of the menu, and the taco that I tried was incredibly good. I also greatly enjoyed the cocktail that I had a chance to sample. Timeline Arcade offers dozens of vintage games and is open late. End your time in downtown York at Timeline Arcade. 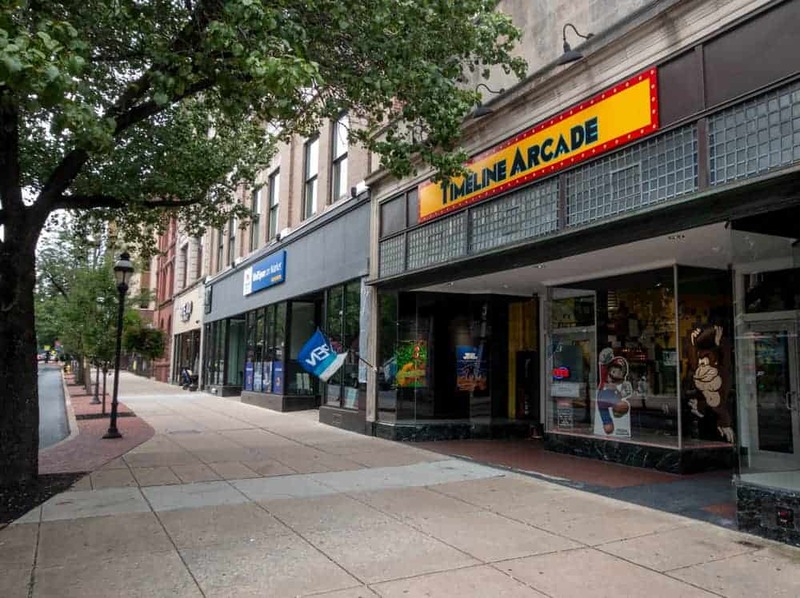 A single hourly rate will give you access to dozens of their historic arcade games. No matter how far back your love of video games go, they will have something for you as Timeline has games dating back to the earliest days of arcades and even offer a few more modern games. Whether you like strategy games, racing games, shooting games, or pinball, there are many great ways to spend a few hours in this great spot. Even better, you can curl up on the couch and pop in a game on anything from an Atari to a Nintendo 64.